We are passionate about empowering women within Cocoa Life’s communities. This is because we care about these women and because it makes good business sense for us. If we want to ensure a sustainable supply of cocoa for our chocolate brands, it is in everyone’s interests to grow opportunities for women. Women play an essential role in their households and communities, and in the cultivation of our essential raw material: the cocoa bean. All the evidence (and our own experience) shows that communities where women’s voices are listened to see rising incomes, stronger family finances and increased school attendance. This translates to greater economic success and more sustainable cocoa farming. With this in mind, it is clearly in our interests to empower women in all the farming communities we work with. We made a commitment to Oxfam to create specific women’s empowerment action plans and launched our first plans for Ghana and Côte d’Ivoire in 2016. Today, we’re proud to launch updated plans which include activities for additional origin sites Indonesia and Dominican Republic, and provide an update on Cocoa Life’s journey to bolster the role of women in cocoa communities. They have been developed based on learnings from our programs in the cocoa origin countries covered – and insights from international and in-country partners. The renewed action plans show how we are planning to empower more women in our five focus areas, in line with our global strategy: how we will help them run more successful farms; take a more active role in community decision making; be able to give their children a quality education; make cocoa farming more attractive for young people; become more entrepreneurial; and protect their environment. Patricia lives in Nyamedewasie, Ghana, with her husband and three children. Their one-acre farm used to produce a yield of one bag of cocoa, barely enough for the family to live on. Through the Cocoa Life program, Patricia learned new pruning, spraying and harvesting techniques that have helped increase the farm’s yield to four bags of cocoa. 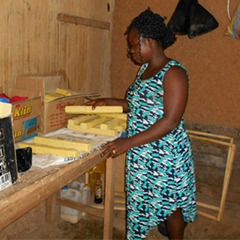 Cocoa Life has also helped Patricia access funds through a Village Savings and Loan Association (VSLA), and start up a soap-making business. All of this means she can now pay her children’s school fees and put money aside for her family’s dream home. Mutmainnah lives in Lambopini, Indonesia. Before she took part in the Cocoa Life program, she worked at her family’s small shop, drove her father to and from his cocoa farm, wasn’t socially outgoing and rarely had the chance to leave the village. 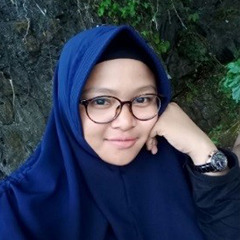 Now, after training in public speaking and leadership skills, she has set up a youth association in the village, represented the village in sub-district and district activities and been invited to attend important meetings about the future of her community in the provincial capital, Kendari. Women’s empowerment is complex and difficult. There is no quick-fix and what’s needed - true systemic change - varies from country to country, from community to community. We talk openly with women in our communities to learn what works and what doesn’t. We work hard with all our local partners to measure everything we do so we can make our work together go further. And we’re transparent about what we do, whether it works as well as we expected, what we have learned and where we commit to doing better. "These plans are unique in that they are developed from the bottom up. An intentional effort is made to engage with women, men, boys and girls as the basis for developing the plans. I have seen a change among women in cocoa growing communities in Ghana, and noticed that women feel safer and more welcome to speak out. More men in these communities are speaking up for the participation and recognition of women, and I’m proud to be involved in such a program." So far we have impacted women in over 1,000 cocoa communities. We have enabled women to gain greater access to and control over both household and productive resources, strengthened their ability to lead their community and have their voices heard, resulting in positive returns for women and their communities. The program provides 50,000 women annually with access to finance to fund education and encourage entrepreneurship, in order to give them a voice and unlock their potential. An additional 59,000 community members have been trained in gender awareness to change perceptions, attitudes and behaviors, to help address gender inequalities. I am proud of the progress we have made so far and the change we see in the communities every day. This report is part of that process of transparency and commitment to improve. I am proud to work for a company that is empowering women I may never meet, but who I feel connected to as a fellow woman and passionate member of the cocoa industry.